We often talk about the wealth of talented artist and hidden creative gems residing right here in Liverpool, and here’s a lady I wanted to meet with having listened to her being interviewed on Liverpool BBC Radio Merseyside – Roger Phillips show last Sunday. Clare Campbell has such an inspirational story of her journey of self discovery, and how her creative expression came into its own, after a challenging period of “darkness” threatened to consume that energy of creativity and self-expression. 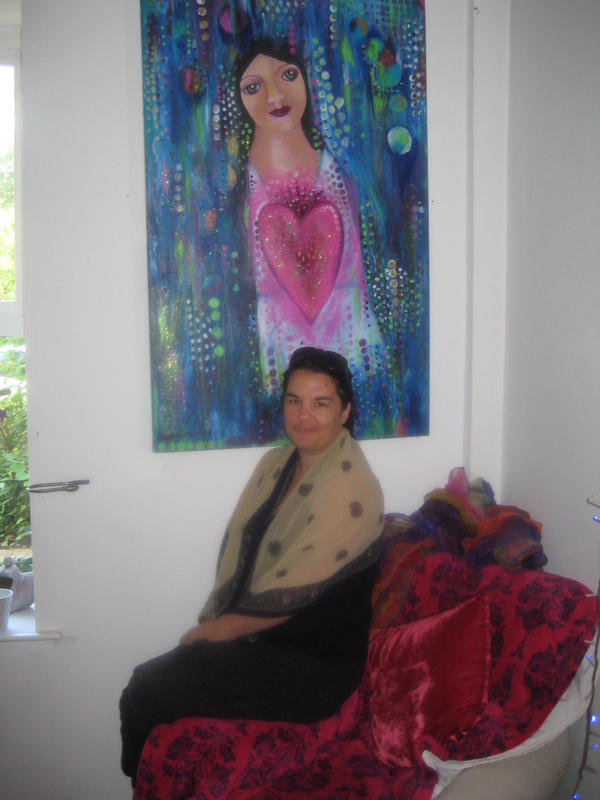 Meeting her at her home which was filled with natural light, vibrant tapestry colours adorned the walls, and some of her amazing art creations in her studio area. 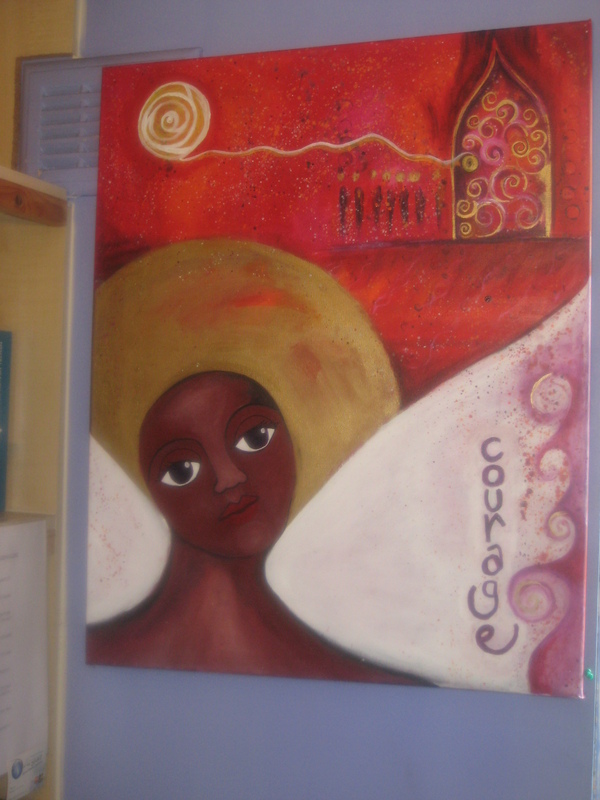 Some of the artworks are produced by women she has encouraged through her workshops that facilitates and explores the huge benefits of getting involved in painting, poetry and alternative therapies all interlinked with that statement of Health and Well-being. Clare has recently exhibited her work at the Liverpool Tate Gallery, and had just returned from Glastonbury when I met up with her this week. I would describe Clare as an Enabler and Energizer in every sence of those words, very focused and determined to dare to dream beyond boundaries we sometimes place upon ourselves. You could not helped to be inspired by her can-do attitude, no-nonsense, spiritual mindset. Roger Philips interview Sunday 5th August on Radio Merseyside I player. After such a stimulating and interesting visit, I left Clare’s location, armed with one of her “originals” with the understanding that it will be hung in an area where the words “COURAGE” resonates with such significance… as we all have our stories to tell. For further details of Clare Campbell works and project visit her web site as listed above.